Expansion into new markets appears to be on the agenda at Estonian forex company Admiral Markets, as the company has been granted a regulatory license by the United Kingdom’s Financial Conduct Authority, authorizing the firm to offer its services in Britain. The recently formed Financial Conduct Authority (FCA) assumed regulatory duties on April 1 having taken over the overseeing of financial market participants in Britain from the Financial Services Authority after a 28 year lifespan. Operating from Admiral Markets Group’s London office, the new entity, named Admiral Markets UK Ltd, will provide services to customers in Britain and Western Europe. The expansion into these territories follows the company’s acquisition of regulatory approval in Australia from ASIC in January 2012, in order to service the Asia Pacific region’s client base. “After entities within the Admiral Markets Group have obtained licenses by the EU, the Australian authorities and the Uruguayan central bank, getting regulations from the renowned British FCA was the next logical step for us” explained Mr Laush. Elina Pederson is the new entity’s CEO in London. With regard to the strategic importance of the company’s presence in the United Kingdom, she stated: “An additional regulated firm in Europe provides even more investor protection and trading opportunities to our clients”. “The FCA authorization is one of the hardest to obtain worldwide for any broker. 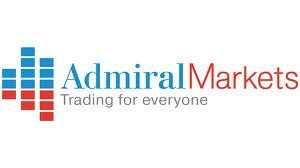 Admiral Markets has always adhered to high-level rules of fund segregation, financial security and customer care. Receiving the UK regulation is the acknowledgement of our efforts and proof of our success” she concluded. The first clients will be accepted by the London office starting July 1, 2013. Customers from Western Europe who are already trading with Admiral Markets’ European regulated entity Admiral Markets AS can then open an account with Admiral Markets UK Ltd as well. “Those traders can keep an account with both firms, or pick the regulated entity of their choice”, Ms Pedersen explains. Funds can be transferred internally, and all clients under the new Admiral Markets UK Ltd will enjoy the full advantages of an FCA regulated company, such as funds segregation, financial security, compensation schemes and grievance redress mechanisms”. Even the economy and the forex being inconsistent these days, it doesn’t mean that we can’t get a positive result. Expansion to other industries is a bold move but it can really take off once it becomes successful.